A rare treat for you here as our Chairman and “Wiley Old Silver Fox”, Bajrush (183 ECF), provides his analysis of a recent match in which he faced the London System opening. 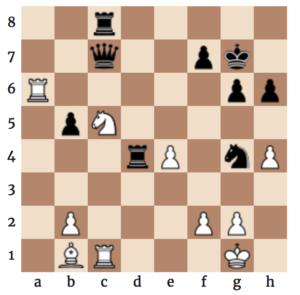 Having recently attended a training session at the club focused on the London, could Bajrush use the practical knowledge he picked up to his advantage in London League 3? Sounds like your opponent should have come to my training session though, everyone knows the pawn should be on c3 and not c4! Also, the bishop goes to d3, not e2, in the London. White’s structure in this game is from the QGD (Bf4 variation) not the London. I presume white was Peter Jaszkiwskyj?